From bar and table service, to tear down and cleaning, our friendly, licensed servers are ready to help make your event a success. Coordinating an event can be overwhelming. That's why Delicious Dishes offers Event Services. In addition to the catering, we can arrange décor, flowers, giveaways, etc. 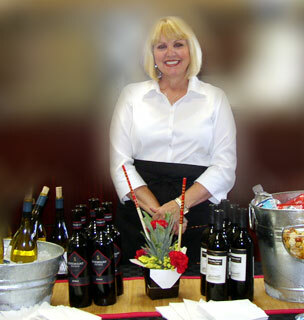 We also offer event planning, organization, and full day-of-event on-site support. Interested in taking advantage of this resource? Let Chef Regan know.